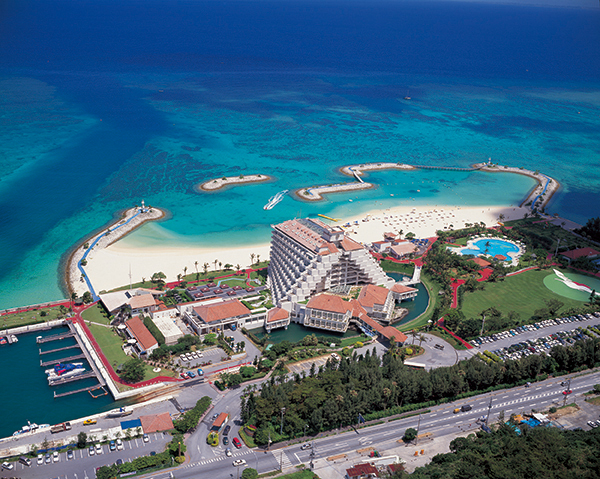 Everything on Okinawa Island from A to Z | Sunmarina Hotel does Golden Week! Sunmarina Hotel does Golden Week! For the Golden Week holidays (Friday, April 29-Thursday, May 5), Sunmarina is extending an invitation to both guests and Okinawa residents to take advantage of three limited offers for this longest of Japanese holidays. Sunmarina's own Dining Room Senses will once again offer this sumptuous and always popular buffet featuring an assortment of Okinawan specialties. Guests are invited to choose dishes prepared from fresh local seafood and vegetables and take satisfaction from wonderful flavors and the knowledge that their delicious meal is also healthy. Every night during Golden Week, Yagala Nails will offer nail art workshops to show participants that beautiful nail art is not necessarily hard to do. Do you know what the last day of Golden Week is? Children's Day! 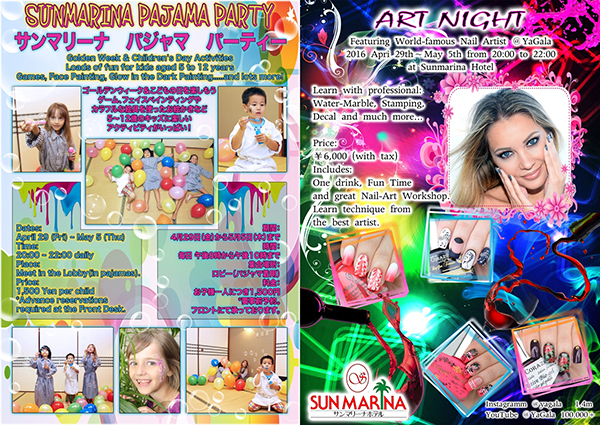 Sunmarina will throw this special kid's party every night complete with games, face painting and other fun activities for kids from 5 to12 years old.